Two centuries after he was “created”, how, and why, does the story of Frankenstein's monster continue to capture the public imagination? The Morgan Library & Museum explores this in the exhibition It’s Alive! 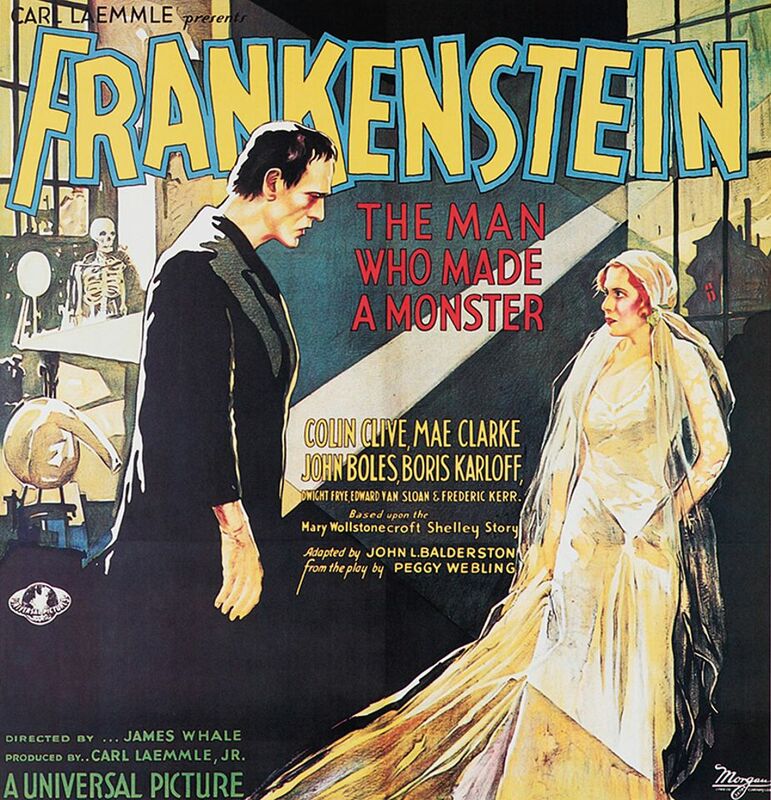 Frankenstein at 200 (until 27 January 2019), a celebration of the bicentennial of Mary Shelley’s proto-science fiction classic, which she began writing at the age of only 18. The exhibition, a collaboration with the New York Public Library, is a thorough and informative look at the story, from its roots in Gothic art, Enlightenment science and Shelley’s own dramatic life, through its swift literary influence, to its use in cinema and comic books. The mix of materials includes parts of the original manuscript, a portrait of the author, historic scientific instruments and film posters. One especially interesting part of the show looks at “iconic scenes” in the book, such as the death of Dr Frankenstein's bride, Elizabeth, on her wedding bed, likely influenced by Henry Fuseli’s sensational painting The Nightmare (1781), which hast been lent by the Detroit Institute of Arts. Fear not: if you can’t make it to the museum, the Morgan is presenting a digitised copy of Frankenstein with annotations from Shelley online. Aspiring witches and wizards do not need to wait for an official letter by owl to learn about the mystical arts—just a timed ticket to the New-York Historical Society’s suitably bookish exhibition Harry Potter: A History of Magic (until 27 January 2019), organised by the British Library. While the show has illustrations and documents from J.K. Rowling’s hit series about the Boy Who Lived—among them some delightful drawings of scenes and characters in the book by the author herself—the truly magical treasures are historical manuscripts and objects on loan from museum collections. These include a six-metre-long, beautifully illuminated 16th-century scroll describing what it takes to make a Philosopher’s Stone, which could turn base metals into gold and bestow immortality, based on the writing of the English alchemist George Ripley. Another is the headstone of Nicolas Flamel, the medieval French scribe, bookseller—and according to the Harry Potter books, legendary wizard and close friend of Hogwarts headmaster Albus Dumbledore—from Paris’s Musée de Cluny. And what is more terrifying than a crazy conspiracy theory proved true? Head to the Met Breuer for the exhibition Everything Is Connected: Art and Conspiracy (until 6 January 2019) to see how artists between the 1960s and 2016 have looked at covert power and the way governments and citizens interact. According to the show’s co-curator Doug Eklund, artists’ approaches to conspiracy tend to fall into two camps: the “forensic, fact-based work” of artists like Jenny Holzer and Mark Lombardi, and “artists who are trying to capture the rabbit-hole aspect of the psychological experience of conspiracy”, like Sue Williams and Mike Kelley. While theories about events like the JFK assassination probably will never be proven, Eklund says, other conspiracies, like the CIA-funded brainwashing experiment MKUltra—once “the ultimate tinfoil hat topic”—have moved from out-there possibility to fact. Among the spookiest exhibits: the Canadian artist Sarah Anne Johnson’s House On Fire (2009), a cheerful yellow dollhouse turned into a riotous, bizarre and hellish scene based on the hallucinations recounted by her grandmother, who was given years of “treatments” in the 1950s as part of MKUltra.